The Priestly Ordination of Revs. Benjamin Pam-Tok, Peter Agwom, Peter Adams, John Ilonah, Francis Mshelia, Joseph Abu and Moses Peter at Our Lady of Fatima Cathedral, Jos, 11th November, 2016. Homily by Most Rev. 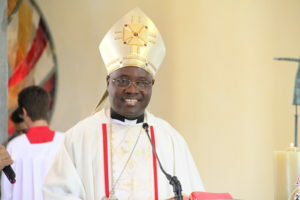 Ignatius A. Kaigama, Archbishop of Jos. 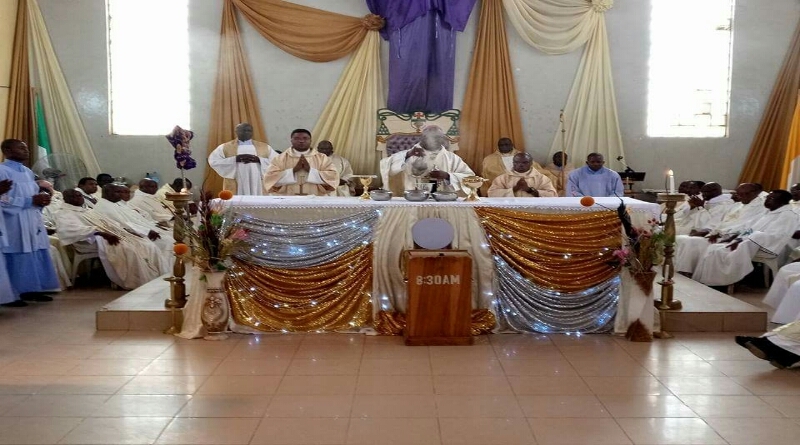 Since the creation of Shendam and Pankshin Dioceses from Jos Archdiocese, this is the first time we are having seven candidates for priestly ordination. Please join me in thanking God. 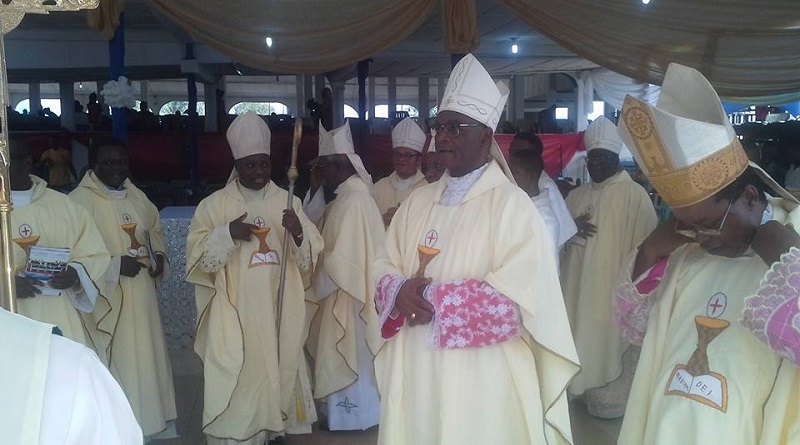 I am impressed by the growth of the Catholic faith in Jos Archdiocese. During my regular pastoral visits to parishes I see the registers and notice the thousands of baptisms, thousands of confirmations as well as thousands of Church wedded couples and I see remarkable self-help projects, such as parish house buildings , Churches, etc. There are vibrant Church societies of men , women and youths and parishioners are doing what before now they waited for the Bishop who they equated with the “Church” to do. I see growing outstation Churches that will soon become pastoral areas or parishes. Our new Divine Mercy Cathedral project is ongoing and has so far been funded by your one block per Catholic, one bag of cement per family; parish harvest/bazaars and tithes. Every single kobo we have used so far came from you. God bless and reward you. A lot still needs to be done. The Ganaka beatification project and other projects are still begging for our attention and action. May this additional work force of seven new priests complement the work of our lay people, religious and the priests for the spiritual and pastoral advancement of our Archdiocese. The deacons to be ordained priests today have been in formation (spiritual, theological, human and philosophical) for over nine years. We thank their formators. These candidates have just finished a whole week in a prayerful retreat (directed by Fr. John Dalyop) to prepare themselves to be instruments of the Gospel. They have opted to be very close friends of Jesus and to make more friends for Jesus. Prayer is going to be the secret of their strength and success. Prayer is the oxygen for priestly ministry. Spiritual asphyxiation occurs with catastrophic spiritual and physical consequences when a priest stops praying or prays without proper interior stillness. A priest who stops praying or prays very little is not more than an actor. Actors tell you that their lives on the stage is different from their real normal lives. If a priest only acts out the Holy Mass and other sacraments and indeed his whole priestly life, he will be cheating himself and so will be a disaster to the people he serves. The new priests we ordain today are lucky to be ordained in the “Year of Mercy” and so we can say they are “priests of mercy” with a more special obligation to be merciful like Jesus. Their assignments are already clearly spelt out in the readings today. From the first reading (Is 61:1-3), Prophet Isaiah outlines their tasks which can be summarized as evangelization. They are called to serve the poor, the captives, widows, orphans, the sick, prisoners, etc who are often forgotten by society. The gospel from Jn 20:19-23 invites them to be instruments of peace and forgiveness while the second reading from 1Pt 5: 1-4 urges them to shepherd the flock which has been entrusted to them, not looking for a reward but wth a generous heart and to always be an example to the flock. In his homily on 18th October 2016, at Casa Santa Marta, Pope Francis said the shepherd that seeks power and riches, instead of following Jesus and properly tending to their flock, will end up being loved only for their money. For us in Nigeria, it is a sad commentary on our spiritual condition when today the media speaks in terms of the “richest pastors” who are defined not in terms of holiness of life, humility or service to the poor, but of their stupendous material wealth and colourful life-style (cf. 2Tm 4:10). (Cf. The Divine Office Vol. 111, page 629 to 631). Those who were present at the national all-night prayer event in Abuja on 3rd to 4th of November, to anticipate the end of the Year of Mercy, an Archbishop, a priest, a Rev. 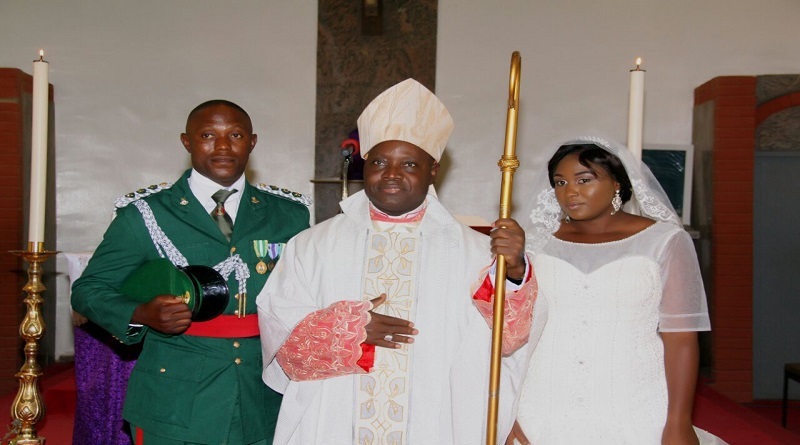 Sister and a lay man and woman representing various segments of Nigerian Catholics spoke of their renewed determination to improve their lives and their work in and for the Church. They confessed their lack of charity, not doing what they should do well and sometimes this casts dark shadows on the Church. They resolved to collaborate more and to seek forgiveness for their acts of omission or commission, to shun materialistic inclinations, to be more obedient to Church directives and to pray for one another rather than always condemning and pointing fingers of blame. Let this be our spirit in the Archdiocese of Jos. I wish to conclude advising the new priests by drawing from my personal experience in the exercise of my priesthood and the pastoral leadership positions entrusted to me. I ask you to take your work seriously, but I hasten to add that good works even with the best of intentions do not always attract commendation, rather sometimes they earn you nasty comments and even hostile reactions. It happened to Jesus. Unfounded rumours/gossips about you and your work will be a daily occurrence. Be patient and forgiving when you hear these. People will quote or misquote you for their personal motives. Do not be ashamed to appear as a priest. Wear your cassocks. Be ready to go where you are sent without preconditions or feeling of rejection. For our beloved lay people, please, support your priests, not with beautiful cars or the luxury items of today’s world, but the basic things needed for priestly service and above all with your prayers. Talk to our Mother Mary about us your priests. Always ask God to strengthen the faith of we your priests. Report us to Jesus when we err and invoke the Holy Spirit to show us the right path. Please, do not distract priests by imposing unnecessary material demands on them. Don’t be afraid to advise your priests when they are obviously heading in the wrong direction; they are your brothers and sons even though you call them “Fathers”. Together we shall succeed in the name of Jesus.